Definitely rose gold- Sleek MakeUP’s Rose Gold (£4.49) and Benefit’s Rockateur (£23.50) are great blushers that suit me perfectly. 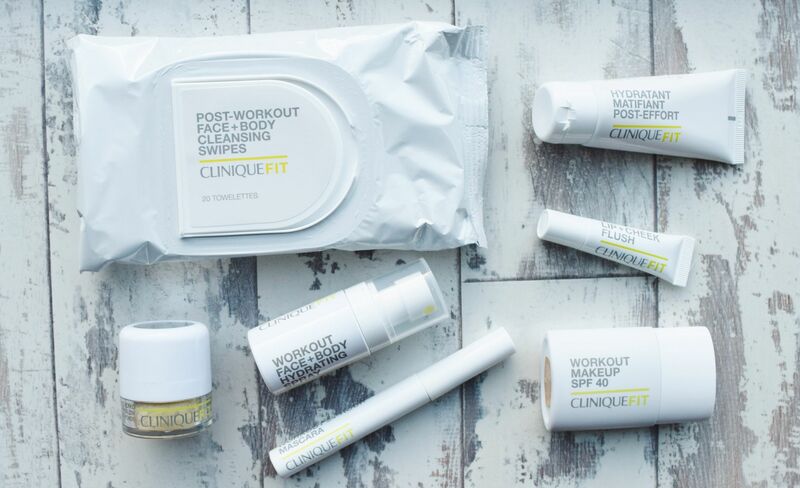 Pressed is my favourite as I find it the easiest to use and apply. Loose is just too messy and pointless to me. I do like a bit of cream blush in the Spring and Summer though, for a dewy look. Benefit Cosmetics’ Rockateur has a gorgeous golden shimmer to it, that highlights cheekbones beautifully. It smells great too. I’m not really a matte blush girl. I do like a bit of shimmer. Although, you can’t go wrong with a Sleek MakeUP blusher, and their blush trios Blush By 3 (£9.99) give you the best of both worlds with a matte, a satin and a shimmer finish choice. My favourite cream blushers are from Chantecaille (£19.50) as they are thick, creamy and highly pigmented. A little goes a long way, and they have great staying power. The whole pressed blusher range from Sleek MakeUP is amazing. They are such good quality and for such a low price too. I find them really long-wearing and highly pigmented- a little dab of your brush in the pan is all you need. I’ve only ever used Ripe Peach, as I’m not a huge MAC fan. The recent MAC re-release of Ripe Peach in the Toledo collection combined a great natural blusher shade with fabulous packaging. The Art Deco Cream Rouge for Lips & Cheeks (£12). The formula is so greasy and odd- I don’t know why I ever used them or kept hold of them for so long! It has to be Benefit blushers. Lots of people hate the cardboard boxes; but I really like them. They are compact, have a handy mirror and I really rate the little brushes that come in them too. 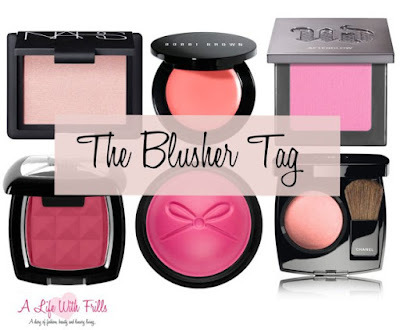 I have so many blushers that I actually don’t have any on my wishlist at the moment. I have quite a stash! If I could only have one blushed for the rest of my life, I’d be happy with Benefit’s Rockateur (it’s a winner in this post). It’s a great all-round blusher that’s perfect for all seasons. I would love Julie-Ellen, Kia from Make Me UP and Miss Makeup Magpie to do this tag. Go on ladies! 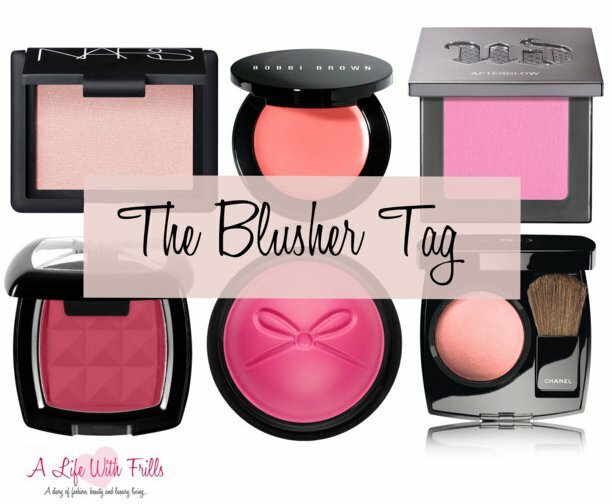 Please share your blusher recommendations with me in the comments too.